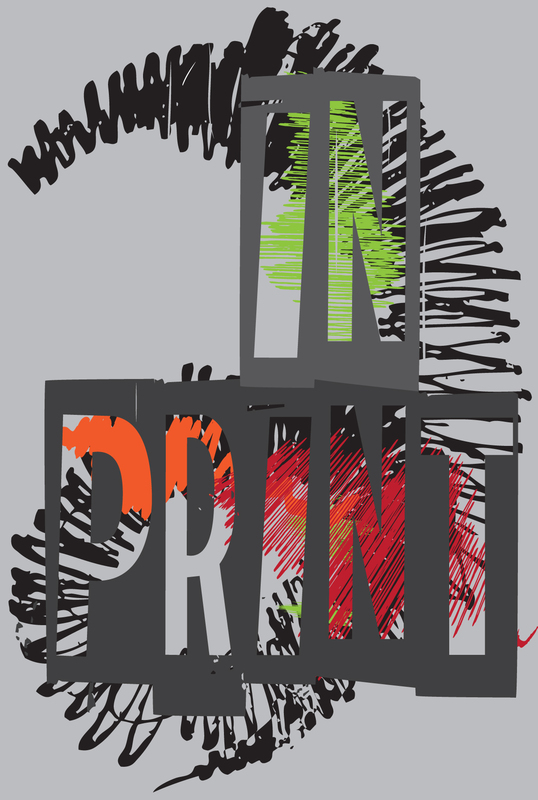 Showcase of North State printmaking artists. This exhibition was part of the 2017 Redding Cultural Cruise. 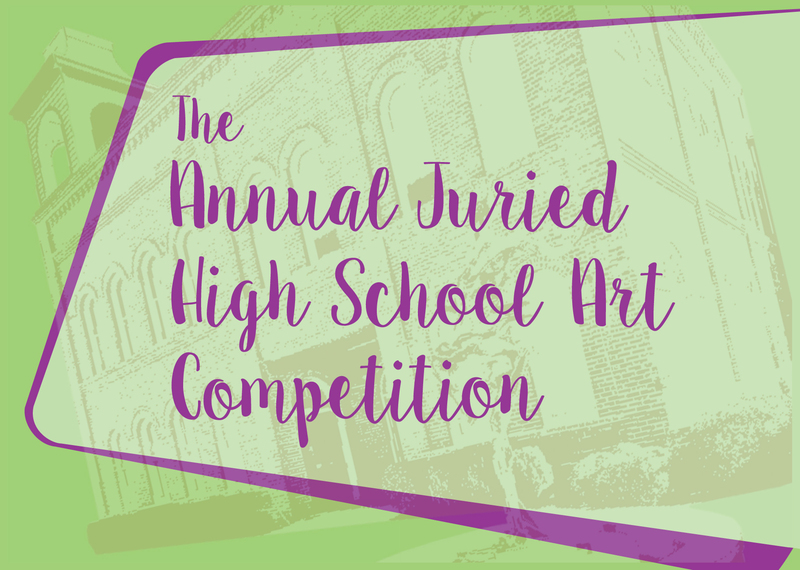 15 Shasta County high schools participated; 583 artworks were submitted by 348 students. 207 pieces were selected for the show, 13 students were awarded. Jurors were artists Judith King and Howard “Luke” Lucas. Awards announced: Friday, March 24 during opening reception, 5pm—8pm. Six Shasta County Middle Schools have participated, with 218 pieces of art entered by 121 students. 169 art pieces were juried into the final show, 11 works by 10 students were awarded. Without hesitation, I will tell you that being asked to jury this show was a wonderful and rewarding experience. The opportunity to see the creative and diverse range of media these young artists are using was exciting. There is no rule book for being a juror. To be a juror is both intimidating and invigorating. Standing in front of each art piece I look for presentation, technical skill, craftsmanship, and creativity. Does it express a mood or is there a story? Is the piece well executed? Is the artist emotionally invested in his or her artwork? I consider composition, color, subject matter, and mediums. I then looked for ideas, a personal or unique vision. Did the artist push boundaries, take risks or break rules? Does it invite me to explore it further and would I like to see more work by this artist? I want to congratulate the artists whose artwork was admitted to the show. The jury process is not kind but I want to encourage any artist who did not make it into the show to not give up and to continue to believe in their work. Keep working. I would like to thank Agata Maruszewski, Curator and Office Manager for the Shasta County Arts Council and her staff for the professional and personal assistance. Finally, I want to thank the Shasta County Arts Council for the wonderful opportunity to juror this show. The Art of Surviving: Strength. Resilience. Justice. 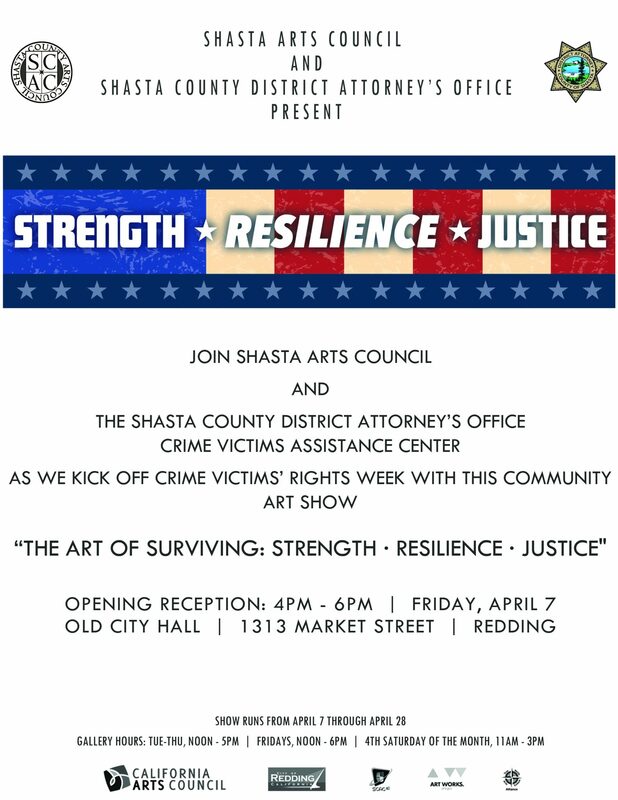 Shasta County District Attorney’s Office – Crime Victims Assistance Center presentation for the 2017 Crime Victims Rights Week! The Art of Surviving: Strength · Resilience · Justice was an event to bring awareness, safety, prevention, and resources to our community. Community artists are encouraged to express what Victims Rights represented to them through art (photography, paintings, sculptures, poems, etc.). 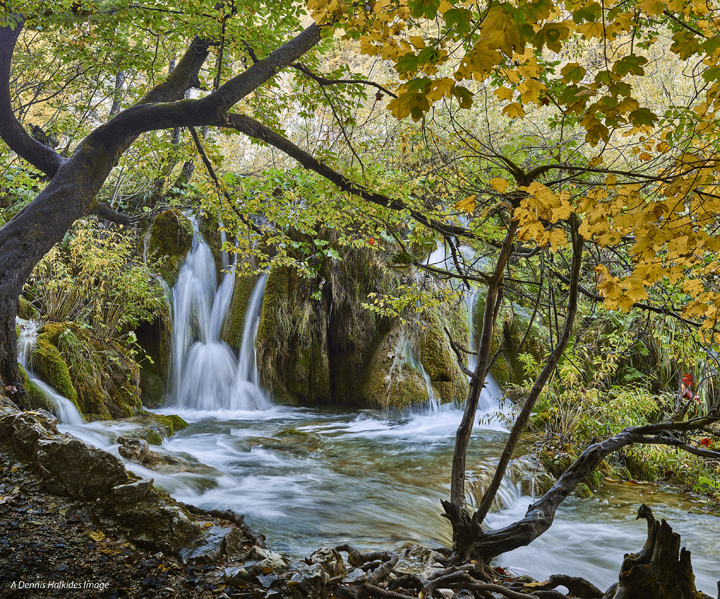 Shasta County Arts Council presented this exquisite art show of large-scale photography by Dennis Halkides and stone, wood and metal sculpture by Lucius Upshaw in the months of May and June of 2017. A Big Star Veterans Project. 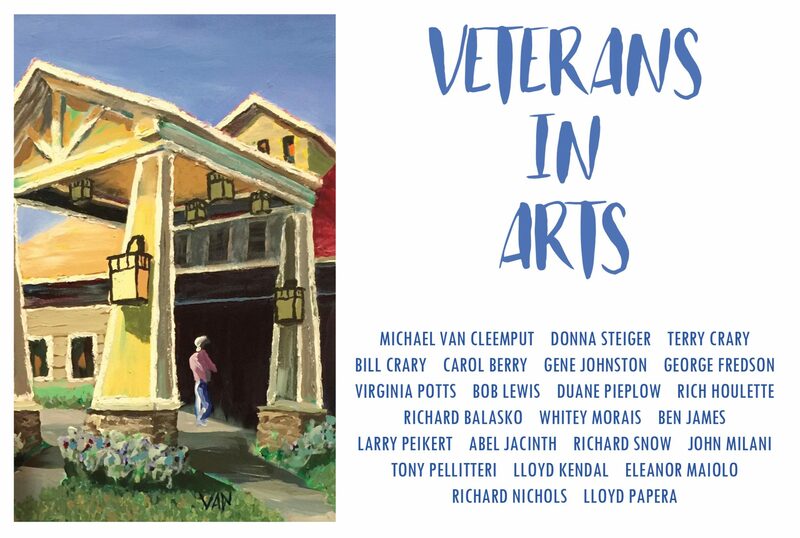 Artwork created by residents of Redding Veterans Home, as part of “Veterans initiative in Arts”, a California Arts Council grant program. 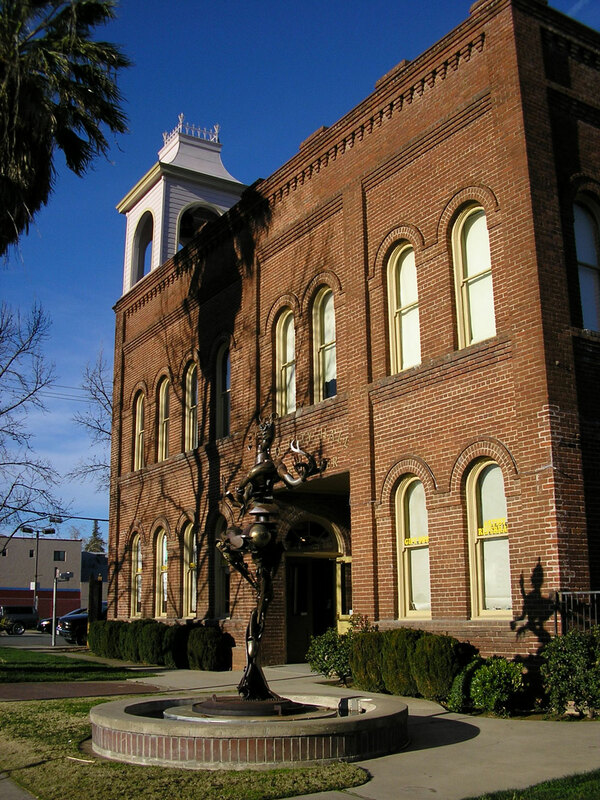 Shasta Arts Council and Shasta Historical Society have prepared a presentation on 100 Years of Old City Hall and the evolution of the facility’s public use and image. Learn how historic preservation of buildings and infrastructure impact the community they serve. 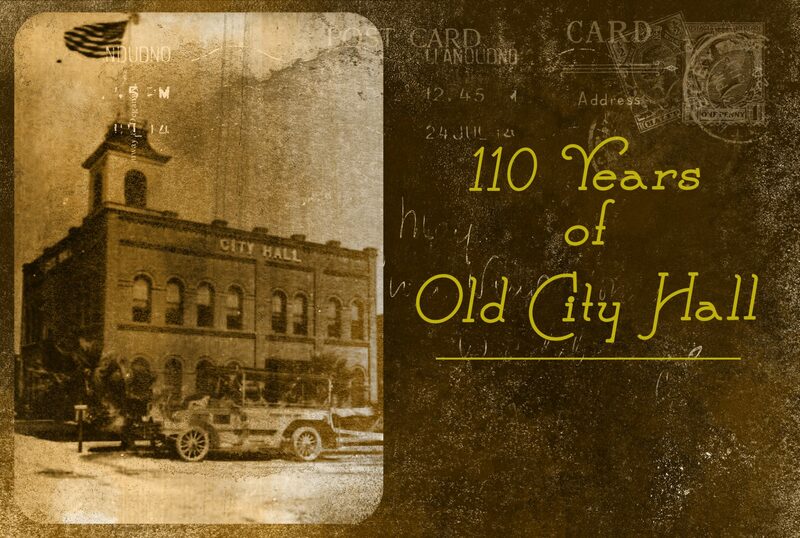 History talk – Friday, August 18 at 6pm at Old City Hall. 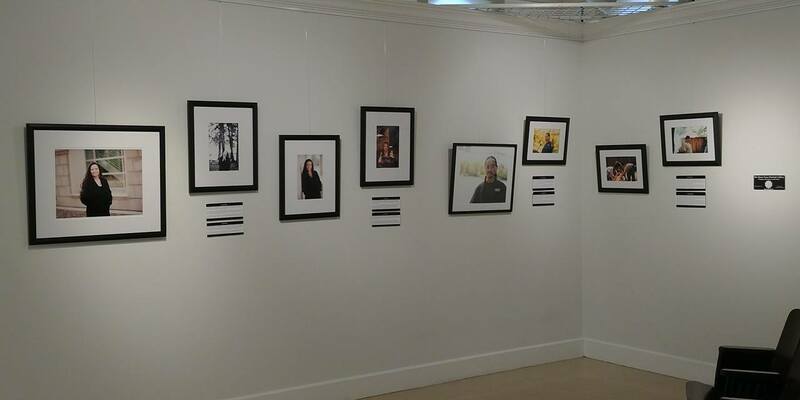 Witness stories of recovery told in photography and personal accounts of people who fought mental illness, substance abuse. 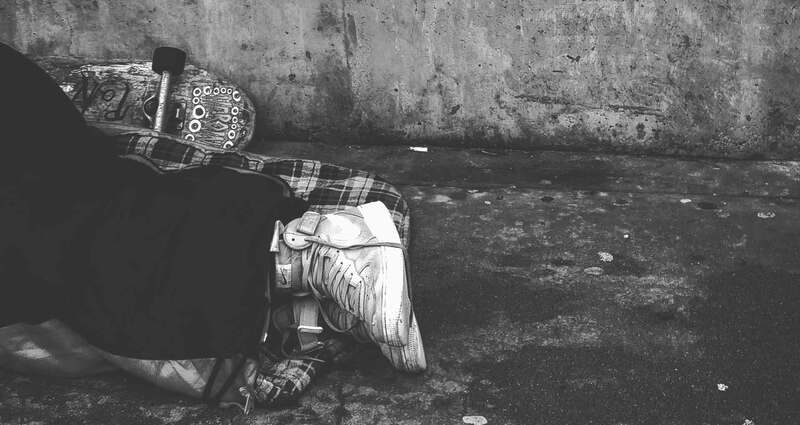 Experience the art, poetry, and stories created by Redding homeless. Guiding artists: Howard Lucas, Jessica Willis, James Canter, Judith King, Chuck Prudhomme, Mary Lou Schmidt, Charlene Koenig, KaiKong Yee.